You had gotten +2 yesterday for an accepted suggested edit on "Is the following a valid proof that shows a limit does not exist?" This post you had edited, then got deleted for some reason. As a consequence of this the +2 from the suggested edit to that post got invalidated. You were not targeted specifically. It is an automatic consequence of how things work. Not the answer you're looking for? 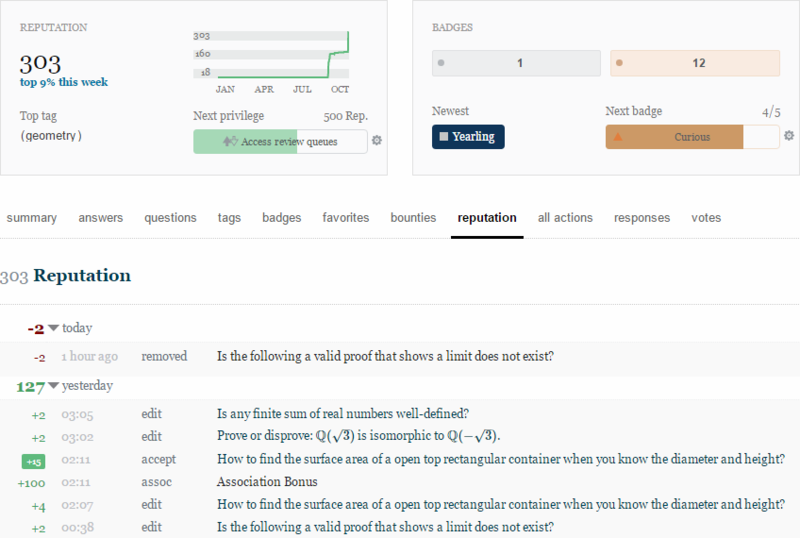 Browse other questions tagged support reputation suggested-edits reputation-tab . Why was I awarded an association bonus? Why Reputation is Locked After a Serial Up-Voting?